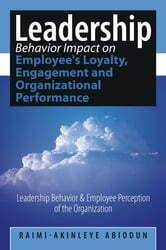 Every organization is looking for ways to improve employee participation, loyalty and engagement; which most scholars believe could help with the organization' performance. We all know that leading with character is a good management skill for any leader that wants to be successful and effective. In this book, the following are seen as some characteristic behaviors that could distinguish a competitive and skillful leaders from others. When you are visible in the organization, know how to handle diversity, set expectations and most importantly know how to communicate and listen to your customers and employees, the result is always good for the organization. People begin to feel valued, respected and their sense of belonging begins to improve. 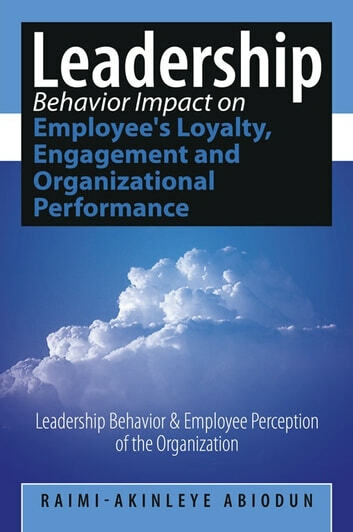 The impact of employee feelings and perceptions will be seen on how they feel about the organization in general. The importance of good leadership on organization's performance and productivity is unquestionable and should be a driving force for leaders to demonstrate behaviors that are essential and productive.